Rent a castle. Castles to rent in Scotland, Ireland, England, Wales or France. Celtic Castles works with the best castles to rent in the UK and Ireland, offering historic venues that suit a wide range of requirements and budgets. We specialise in castles, we listen to your what’s important to you, and we offer our unrivalled independent knowledge to help you find the right venue. All at no cost to yourself! Speak to an Expert Why Celtic Castles? Pictured: Aldourie Castle, rent a castle on the banks of Loch Ness. 15th century Scottish castle, located 12 miles from Edinburgh. Sleeps 26. Historic Irish castle, dating back to 1185. Sleeps 27 guests. 16th century castle in the Scottish Highlands, Sleeps 16. Sleeps 30 guests in the West of Ireland. Luxury castle, sleeping 28 guests, located on the banks of Loch Ness. Recently renovated castle on the West Coast of Scotland. Sleeps 10 guests. Sleeps 30 in Ayrshire, Scotland. Regency architecture and elegant interiors. Ancient crowning place of the Kings of Scots, 5 star Perthshire castle, sleeps 26. Sleeps up to 34 adults, surrounded by the picturesque Cairngorms National Park. Sleeps up to 13 guests just 20 miles from Edinburgh. Accommodates up to 29 people in England's picturesque Yorkshire Dales. Accommodates up to 34 guests on the beautiful Ayrshire coast. Sleeps up to 50 people in stunning Somerset. 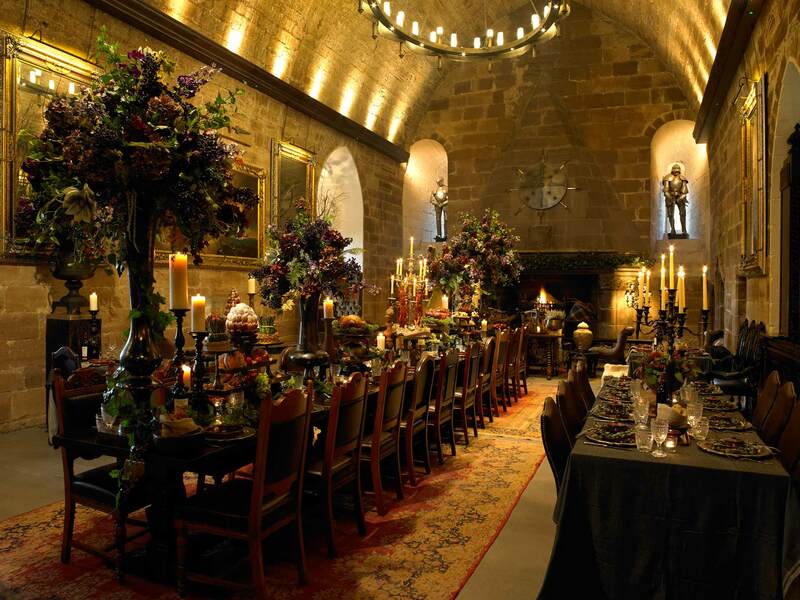 Pictured: The Great Hall at Borthwick Castle, 12 miles from Edinburgh. Celtic Castles has been matching clients with castles since 1998. We work with venues across the British Isles, from castles on remote Scottish islands, to those just a short taxi ride from major international airports. Our team of castle experts regularly visits all of the castles we feature, to ensure the knowledge we pass on to you is always up-to-date. And we don’t know just the castles; we also know their owners, so we can work closely with them to provide you with the best possible experience. "I really have you to thank for finding this property for us. We were pretty much all over the place when looking for the right castle to get married. You were able to find the perfect location for us so effortlessly!" Sites like Trip Advisor will give you one person’s isolated opinion of a venue, but we know that your expectations or requirements will not be the same as anyone else’s. Our team of passionate, honest experts will listen to what you want from a castle and offer independent, impartial advice, based on informed first-hand experience. If we don’t feel a castle is right for you, we won’t recommend it! "Thanks to everyone at Celtic Castles, it has been an invaluable service and I couldn't have found my dream wedding venue without you." We never add any fees, so you always pay the same booking through Celtic Castles as you would booking a castle directly. Our payment comes from the castles we work with, allowing you to freely benefit from our accumulated expertise, saving you hours of time spent on research and phone calls. Unlike most of our competitors, we don’t try to hide the names of the castles we feature, in order to stop you booking directly, as we don’t see why you will want to! "We had the best week-end ever. All of our guests and family loved it! What more can we say but thanks for recommending this place!" Pictured: Contemporary interiors at Carlowrie Castle, 7 miles from Edinburgh. If you would like to discuss your requirements with one of our castle experts, you can call us 7 days a week on 01422 323 200 (outside the UK: +44 (0) 1422 323 200).